Many people assume that pogo sticking and bounce rate mean the same thing, but they are actually different. 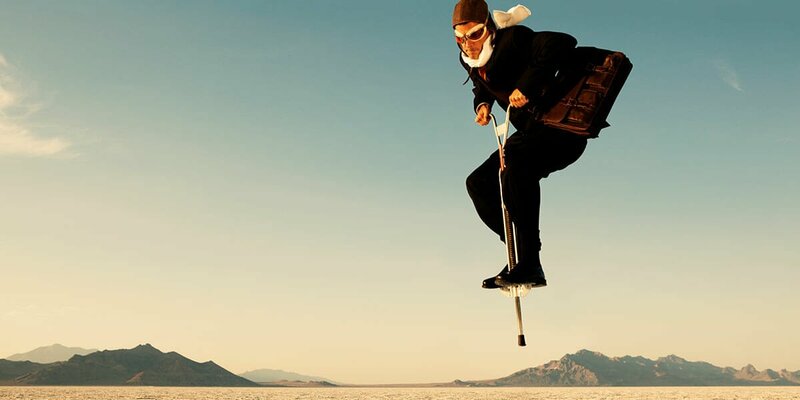 Pogo sticking and bounce rate are related, which is where the confusion comes in. However, it’s important to know the difference between the two because they can have various effects on your website, and one is more damaging than the other. The good news is that with a few tweaks and adjustments, you can reduce pogo sticking and bounce rate, resulting in a better website with better rankings. Pogo sticking. Pogo sticking happens when a user performs a search, clicks on a result and then quickly backs out of the page to choose a different result. This tells Google that the user was dissatisfied with the result in a matter of seconds. Pogo sticking is never good for your website, and Google really dislikes it, too. Bounce rate. Your bounce rate refers to the percentage of visitors who visit your site and then navigate away after looking at a page. A high bounce rate isn’t great because it means that people aren’t engaging with your other content or going deep into your site. However, the visitor could have shared the page, bookmarked the page or spent some time on the page. What Causes Users to Leave Pages? When a user quickly leaves your site, it means that you’re not doing a good job answering their question or providing relevant content. With pogo sticking, you know that the dissatisfaction is happening in the first few seconds, so put yourself in a visitor’s shoes. Imagine some of the issues that could be leading to immediate disappointment. It can be difficult to determine why people are leaving your site so quickly, but we can help. Magna Technology will identify the problems that are affecting your site’s success and solutions to fix them. While you can’t stop everyone from leaving, a few updates to your design could bring these rates down significantly. Remember, people are looking for quick, reliable answers surrounded by engaging content. If you can deliver this, your users will be happy, and so will Google.